With plans to beef up anti-submarine warfare doctrines in the coming year, the Indian Navy, as part of a comprehensive modernisation plan, has decided to draw in all platforms for an rapid ramp-up in capabilities. 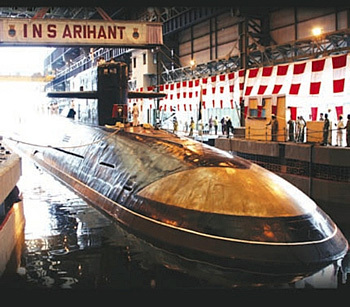 India's Arihant ballistic missile submarine platform demonstrator has successfully executed a weapon ejection trial in the Bay of Bengal under the aegis of the Indian Navy, BARC and the DRDO. After nearly two years in discussions, the Indian government has finally agreed to push through a long-standing Indian Navy demand for a life extension of at least four of its eight effectively remaining Kilo-class submarines. The Indian Navy has officially confirmed that it is seriously looking at EMALS (Electromagnetic Aircraft Launch System) technology, on offer from the U.S., for its next aircraft carrier platform. As the M-MRCA negotiations near finality, the French government has one final chance to show off the Rafale's operational capabilities. They say the passage of time brings clarity. Hindsight brings learnings. 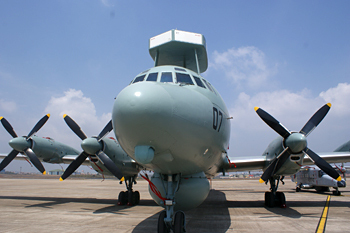 As Aero India 2015 begins, there are two parallel sentiments, each contradicting the other. The first is of hope. BrahMos Corp. is targeting orders of $10 billion by 2010. It currently holds orders amounting to $6 billion, which involves supplies to the Indian Army and Indian Navy. The MoD's apex Defence Acquisition Council (DAC), usually the last MoD stop proposals or deals pass through before clearance by the Cabinet Committee on Security, could function very differently in the future. After notching up successes in Mauritius and Myanmar, DPSU Goa Shipyard Ltd will be focusing on bagging supply orders for patrol vessels and fast attack craft from Latin American countries, including Brazil and Chile. The Indian Navy is looking to procure nine new 25 ton Bollard Pull Tugs to assist naval ships and submarines in berthing and unberthing, turning and manoeuvring in confined waters and harbours. Transparency, efficiency and accountability are the stated touchstones for defence procurement under India's new Defence Minister Manohar Parrikar. India's massively delayed effort to create a second new generation conventional attack submarine production line in the country has finally lifted off, though several years adrift. In major relief for the Indian Navy, the government has approved a medium refit and life extension programme for six of its conventional attack submarines. 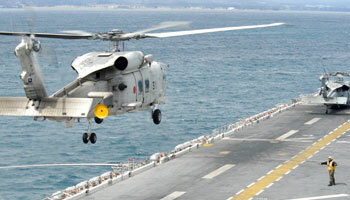 The Indian Navy has breathed a sigh of relief with the MoD deciding to open bids in the delayed multirole helicopter (MRH) competition. The Indian Navy has published its interest in procuring Short Range Surface to Air Missile (SR-SAM) systems for its surface platforms, including new generation of warships entering service. Addressing safety concerns on its submarine fleet, the Indian Navy is looking to procure 30 Submarine Emergency Position Indicating Radio Beacon (SEPIRB) systems along with suitable SSE sleeves. As the wait for Project 75 India gets longer, and as an RFP gets more elusive, both France and Russia are in discussions with the Indian Navy to supply two submarines quickly off the shelf. With INS Vikramaditya on operational deployment with the Western Fleet, Prime Minister Narendra Modi will board the aircraft carrier for a ceremonial day at sea in mid-June. With billions of dollars worth of offsets set to flow into the country on the back of high-value armament system purchases, India's Defence R&D Organisation has compiled a list of 26 critical defence technologies and test facilities it would like to harvest for itself through the incoming offset tide. The honour of first warship to be commissioned into service under the new government will fall on INS Kolkata. 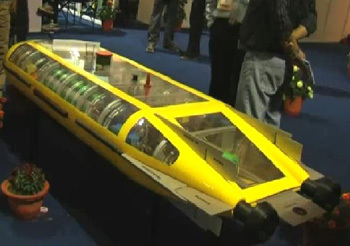 The Indian Navy is now keenly tracking an advanced programme unveiled at the recently concluded Defexpo event: the Adamya autonomous underwater vehicle (AUV) developed and built in-house by L&T Heavy Engineering. With a deal for 98 Black Shark heavyweight torpedoes built by Finmeccanica subsidiary WASS virtually dead in the water in the aftermath of the AgustaWestland episode, the Indian Navy is weighing other options.